Polyflex Horseshoes is proud to be an authorized dealer of EasyCare®. Scroll to view our product selection. The newest addition to our EasyShoe line-up is a hybrid nail-on shoe that features the concussion absorption powers of polyurethane while providing flexibility and durability with our unique spring steel core. These designs encourage the hoof to flex with each foot fall, thus inspiring the name Easyshoe Flex. A great option for distance rides, trail horses, and horse working on hard surfaces the wide web design & ability to hold pour-in packing also makes the Flex ideal for therapy cases. 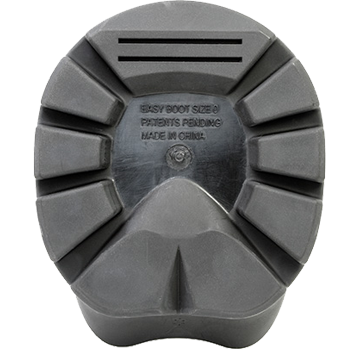 The EasyShoe Flex line can be applied with nails, glue or casting. 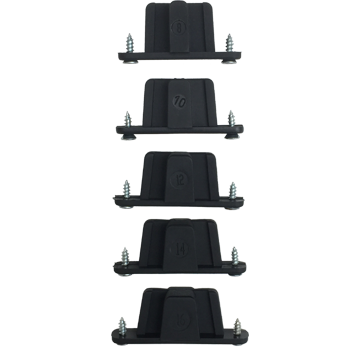 The open nailing slots and clear material make nail placement straight forward and extremely beneficial for achieving an accurate installation. Unlike traditional steel or aluminum shoes, no hammer is used to shape the shoe. Simply trace the hoof on the shoe and remove the excess material. We currently carry two of the four Flex versions: open heel & heart bar. Each version is available with a toe clip or side clips. 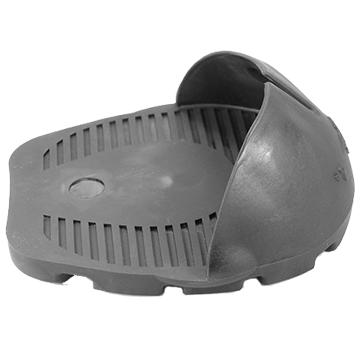 A wide-webbed shoe with integrated frog support that can be nailed or glued. 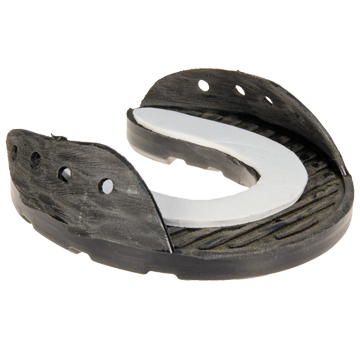 Two integrated nailing plates within the sole allow the shoe to accept up to 8 nails. Three toe clips keep the shoe in place without extending break-over. Translucent material allows the white line to remain visible during application. The boot comes with a patent pending adjustable TheraPad system that allows each pad to be custom tailored to the horse and conditions. The adjustable TheraPad can be used without the TheraRods or the TheraRods can be inserted into the pad to provide more or firmer padding. The three densities of rods provide numerous possibilities. The upper is made of premium leather. A padded collar provides additional relief to the pastern area. Internal neoprene is used in the heel area for comfort. A patent pending "heel lock" system holds the heel in place and prevents twisting. Three air vents provide air circulation to keep the hoof cool while preventing the accumulation of dirt and debris. A therapeutic hoof boot system designed to give comfort and support to horses with thin soles, abscesses, founder, laminitic stages, stresses of shipping, recovery after workouts or stalling on hard surfaces. It also provides instant and ongoing relief for horses suffering from chronic lameness and general lower limb or hoof problems by aiding movement and reducing recovery time after injury or surgery. Seams and edges of the industrial strength Cordura® upper are rounded for safety. A padded collar provides additional relief to the pastern area. Three air vents provide air circulation to keep the hoof cool while preventing the accumulation of debris. 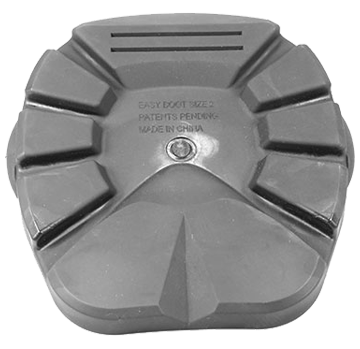 Each Easyboot® Cloud comes with a removable closed-cell EVA standard pad. Replacement Cloud pads are sold separately. 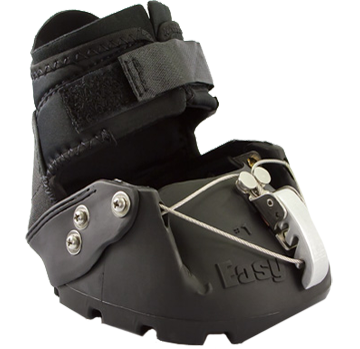 The Easyboot® Cloud may be used in conjunction with the EasyCare® Therapy Click System®. Designed specifically for miniature horses, ponies and foals. 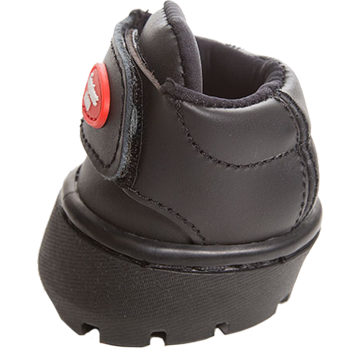 Quick and easy to apply, this boot is the ultimate option for tiny hooves. Ideal for light driving, therapy and providing traction. A first-class option for horses who encounter diversity of terrain. The ideal boot for aggressive conditions or for a horse that is difficult to keep booted. 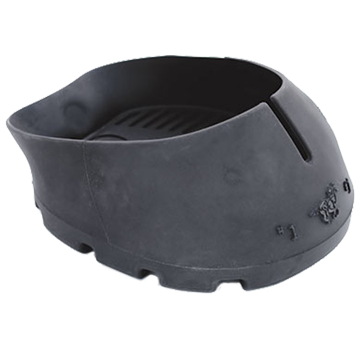 The attached Easyboot® Gaiter provides extra protection to the hoof and prevents excess dirt and debris from entering the boot. It also helps secure the boot in extreme conditions such as mud, snow and water crossings. The Easyboot® Epic has been used by endurance riders at every distance, and have been used in many thousands of miles of competition. These riders have proven that barefoot booted horses can go any distance in every type of terrain, and that the Easyboot® Epic can withstand the tests the toughest riders can give them. A high performance boot, and an option for horses in speed and long distance events. Although there are more steps to the application process, these boots are perfect for pack trips, long-distance and multi-day competitions. EasyCare® does not recommend that the boot be left on for more than ten days in a dry environment or five days in a wet, humid environment. 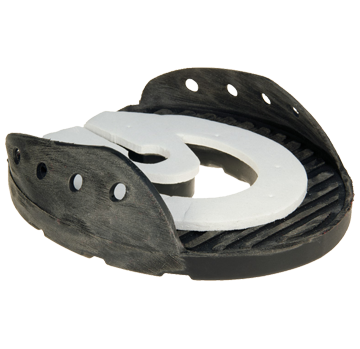 A flip flop design with a conventional upper that extends to the widest point of the hoof. This part of the hoof has the least amount of movement in both the vertical and horizontal planes. Because of this lack of movement, the bonds between the shoe and the hoof hold much tighter and are less likely to fail than at the heel. Closed cell EVA Comfort Pad. Conforms to the hoof and provides additional comfort and solar support. May only be used with the Easyboot® Cloud. Five spacers included in each kit. For the EasyShoe® Performance shoe. 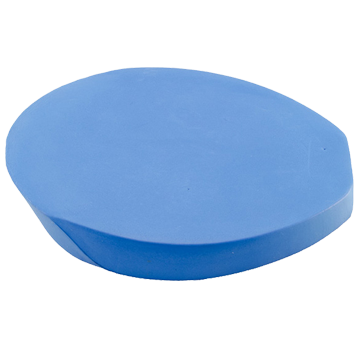 A therapeutic aid and a starting point to change breakover, heel elevation, and DDF tension. Both the 5 degree and 10 degree bases have been designed with extra depth to give professionals the ability to customize to each unique case. 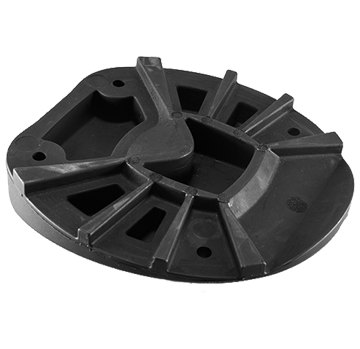 Breakover position and heel height are quickly changed with a rasp or grinder. Add additional height with adhesive products. Boot not included. Increases solar support so that all horses, sound or unsound, are encouraged to move correctly. They can also be used to improve the fit of a hoof boot. Use them in hoof boots to help transition a horse from shod to barefoot, or as an aid in the treatment of laminitis, navicular and other hoof ailments. Available in two thicknesses (6mm and 12mm) and three densities (soft, medium and firm). Cut to size with scissors.